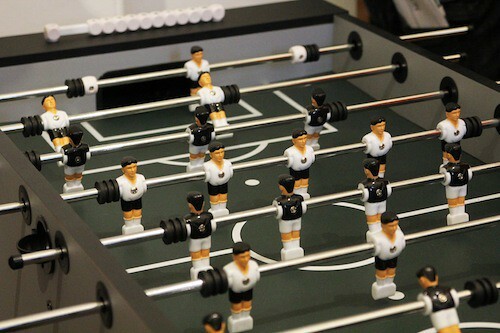 One of the main attractions inside the creative pot that is NEWGEN MEN and Fashion East installations was William Richard Green's firm of table football playing hooligans. 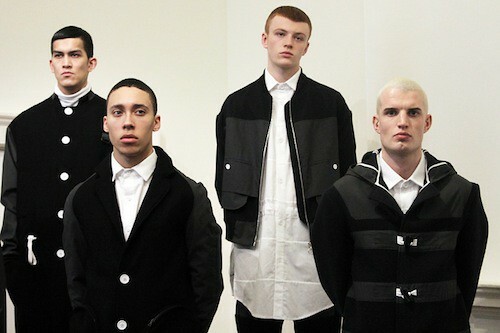 In a collection titled ‘Hooligans Against Acid’, Green drew on the 1989 arrival of the rave scene in England for AW12. Dubbed 'The Second Summer of Love', this benign form of revolution was born at the time of Thatcher losing her firm grip, the excess of the Yuppies, The Stone Roses and Madchester scene, Jason Donovan leaving a pile of overcome girls in his wake, the first celebrity marriage covered in OK of Bill Wyman and his sixteen year old bride, a Merseyside derby FACup final coming months after the Hillsborough Disaster and me at many a fifth birthday party frolicking in the ball pond. For those a few years older than me at the time, the scorching summer of 1989 was one long party from beginning to end as people threw themselves in to a hedonistic rush of new music and new drugs. 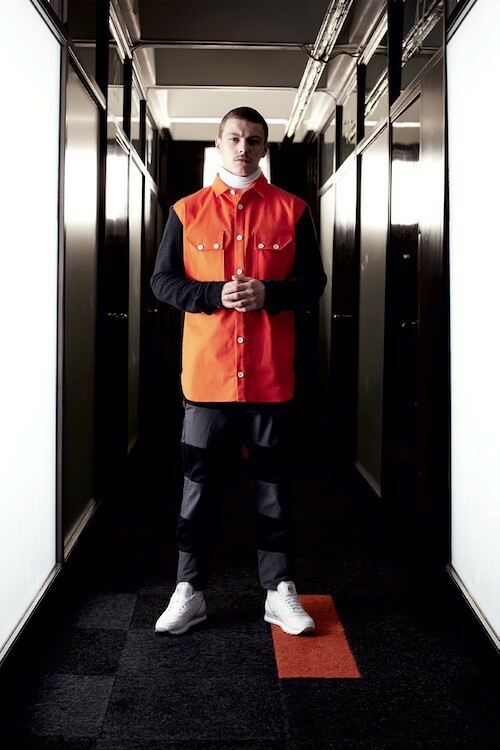 Rather than take inspiration from the strange Jason Donovan effect, Green looked to how the violent pastimes of football hooligans were replaced and calmed by drug induced raves. The loved up vibe summoned up by rave culture was infectious, softening even the most hardened football hooligans. At 180 BPM and the cloak of ecstasy, the enemy became just another person to hug. It wasn't long before the firms themselves were organising parties with the intense rivalry between Millwall and West Ham forgotten on a Saturday night in the middle of a field, as fans from both side enjoyed one big love in..
Taken From BBC documentary ‘Summer of Rave’ (available to watch online). It was a revolution that paved the way for the modern British youth culture that rules the generation to which Green belongs. 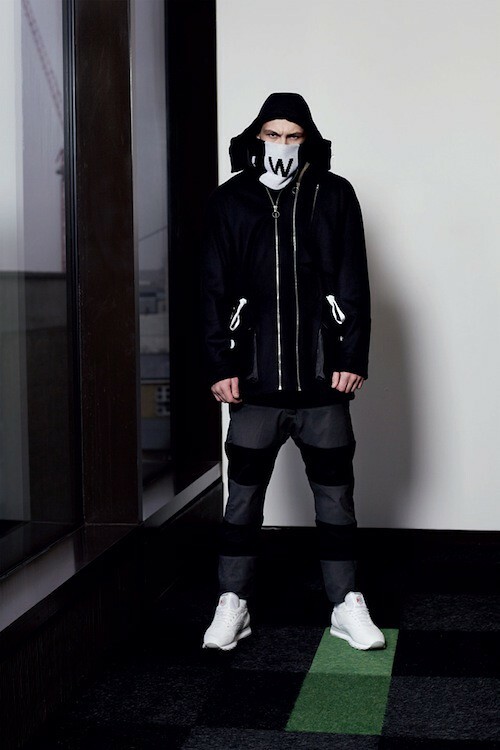 "With each season I think Central Saint Martin's is diluted from my design aesthetic, I'm moving towards designing items that I personally like and would wear" he stated proudly in our last interview before continuing, "the 'fashion' aspect of fashion gets to me at times. 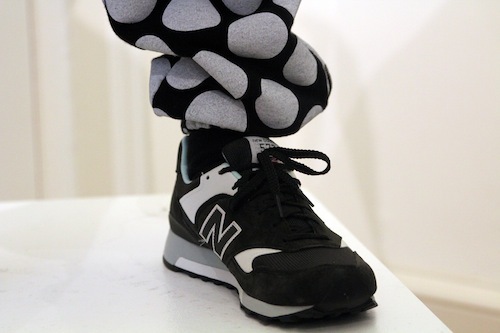 Ultimately it is the design element of fashion that appeals to me." Whilst so many of his contemporaries aim to create the theatrical and the shocking, Green is content producing garments that men, himself included, would want to wear and the results are certainly paying off. 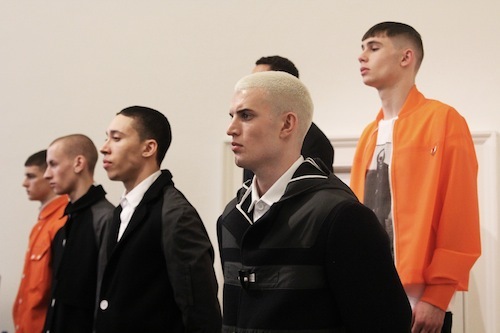 As one of the designers headlining a new era in British menswear, Green fuses his British infl uences with a willingness to support the manufacturers and suppliers of England. Each collection celebrates the craftsmanship of home grown British manufacturing whilst feeling anything but heritage. 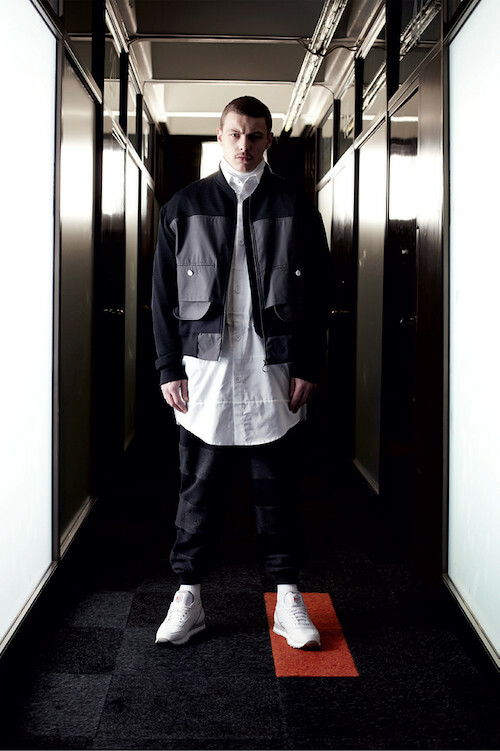 "One of my points is that the collections are British made and predominantly use British fabric. It has been a case of building relationships over time and the quality improves." 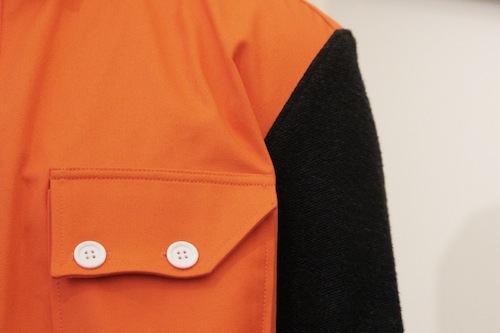 With wools milled in Yorkshire and cotton drill from the same area used next to Jersey knitted in Leicestershire, wax cotton from Lancashire, shirting from Cumbria, and knitwear in Shetland wool, Green has created a collection, which – bar zips – is decidedly British, both inside and out. Shortly before presenting the collection over a few games of table football and being a real standout of the day, it was and filmed by Morgan O'Donovan and shot by Kate Cox. So without further commentary from me, here's the look book mixed with a few of my own shots from the day including a few details. Lookbook courtesy of William Richard Green, presentation shots are our own. 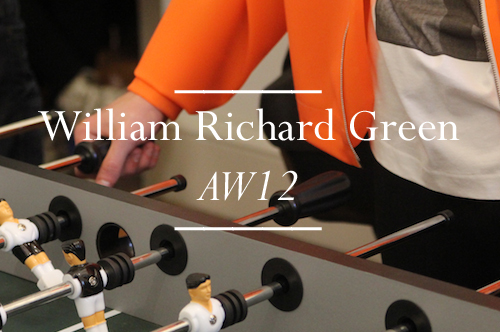 A country lad himself, the outdoorsy, boyish air, that acts as a backdrop to the William Richard Green design signature is mixed effortlessly with elements from sportswear and utility dress throughout the collection. Performance pieces including a grey wax cotton bomber or cashmere trousers with waxed kneepads unite the wardrobes of the terrace and the rave, not unlike the combination of navy, black, grey and orange in the colour palette. A blend of these two worlds is further manifested in the use of drawstrings, zips and double collars, which run through out the collection. 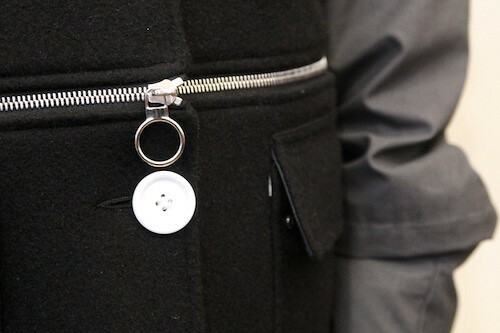 A sense of functionality is introduced in a transformable Melton wool coat with hidden detachable mittens, a storm ap, waxed raglan sleeves, and a waist zip, which unzips the coat into a cropped jacket, revealing pocket details. 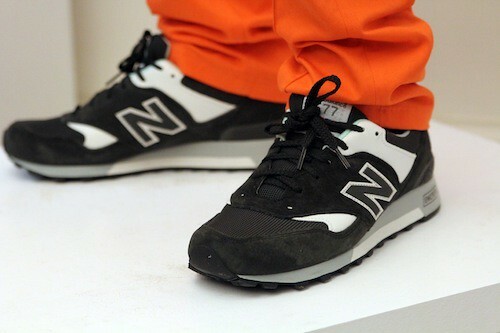 The final Menswear Day saw the designer shuffle his New Balance forward and I cannot wait to see this label continue to blossom. Looking @ this I thought I'd died and gone to heaven. I love to see such fashionable, adventurous clothing retain a sense of masculinity --- probably has a lot to do with the model, but still!